Patience you must have, my young padawan. Much time it takes, to learn the ways of the Force. Yoda was always such a wise Jedi Master. His words rarely fell on deaf ears and he had a unique way of playing Jedi mind tricks on enemies he encountered, making his lightsaber a last resort for vanquishing the enemy. Not only was Yoda and kind and caring Jedi, he was also masterful with a lightsaber and skilled at handling enemies and students with great composure. You could say he was a master of understanding people and always knowing the right thing to do - even if it was a difficult thing to do. 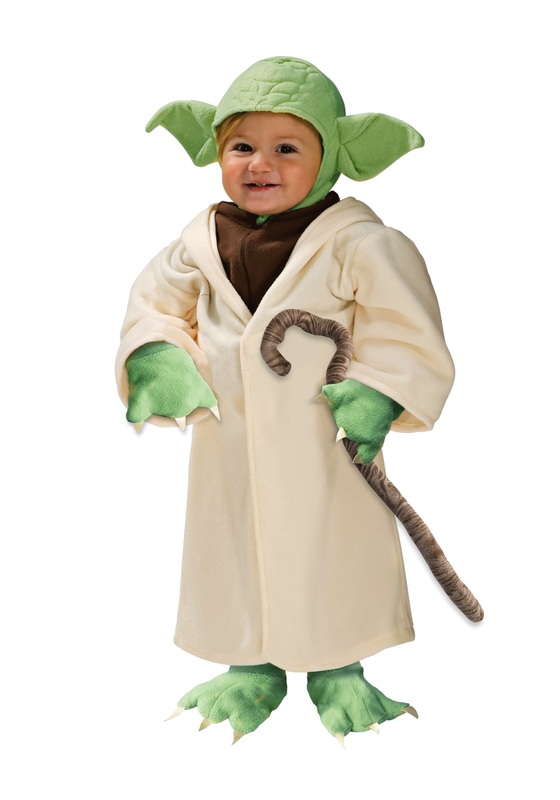 It may take much time to become a Jedi Master, but look like a Jedi Master you can, in this licensed Yoda Toddler Costume! Size matters not, when the Force is your ally. Will you become a Jedi? Impossible to see, is the future. But feel the Force, and mind what you have learned. Save you it can! This officially licensed Star Wars Yoda costume comes with everything your little one needs to become the valiant Jedi Master this Halloween. The cream polyester robe has an attached brown shirt front for a classic Jedi look. The hood has Yoda’s signature pointy ears and secures with a Velcro closure under the chin for maximum comfort. 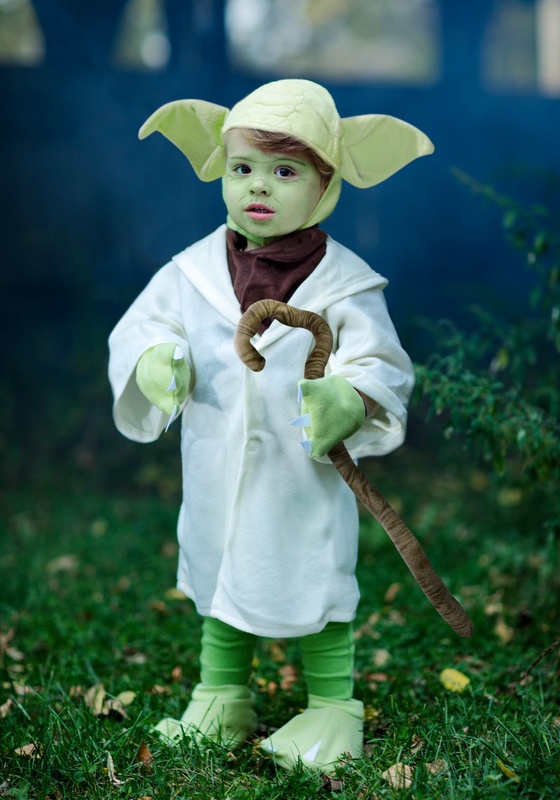 Don’t forget to add the matching mitts, shoe covers, and cane to take your child’s Yoda costume to a galaxy far, far away this Halloween!